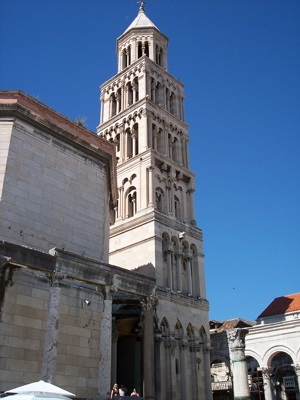 Welcome to Travel Guide 2 Croatia, the site about travel, tourism and vacations in Croatia. The Republic of Croatia (Croatian: Republika Hrvatska), usually simply called Croatia (Croatian: Hrvatska), is a country in East-central Europe with a coastline on the Adriatic Sea. 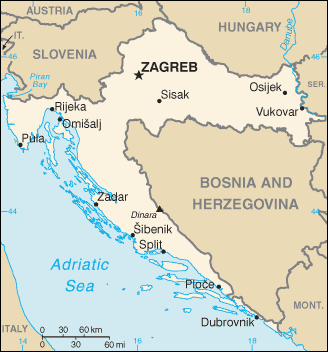 Croatia has land borders with Bosnia and Herzegovina, Hungary, Montenegro, Serbia and Slovenia. Croatia includes many islands in the Adriatic Sea, and its mainland is split into two parts by the short coastline of Bosnia and Herzegovina around the Bosnian town of Neum. As of 2007, Croatia had an estimated population of 4,437,460. The largest city, by a quite considerable margin, is the capital city of Zagreb, which has a population of just over 0.7 million. 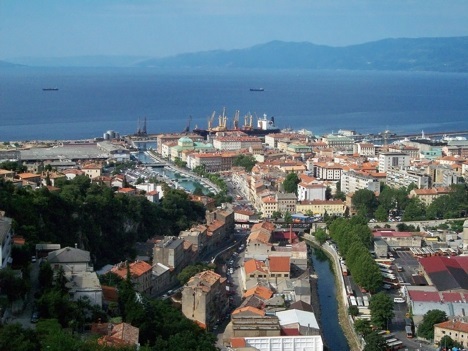 Of the other cities in Croatia, only two, Rijeka and Split have populations of over 100,000, although there are 35 other towns and cities with populations of 10,000 or more. Croatia's economy is principally based around services, and includes tourism as an important contributor - in 2006, the country was visited by approximately 8.9 million foreign tourists. After services, industry is the second largest economic sector, and important industries in Croatia include shipbuilding, food processing and chemicals. Croatia has had to go through a relatively difficult transition to a post-Communist economy. It should also be remembered, that this transition involved not only a war, but reorientating the country's trade to be focused on European Union countries, instead of Yugoslavia and the Soviet economic bloc. As this transition has progressed, the rate of economic growth has thus improved. Nevertheless, there are still significant problems in the Croatian economy, including high unemployment, some corruption, and a backlog in the courts and judiciary. These difficulties are now gradually being overcome, and Croatia hopes to join the European Union in the next few years, probably in 2009 or 2010.